Get our newsletter for the latest comps, music and news. A New South Wales doctor has set the Internet on fire after her message on vaccination has gone viral. 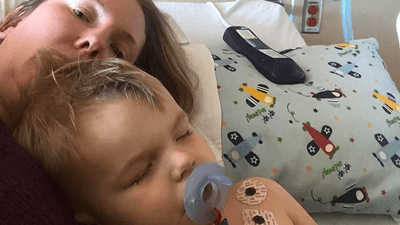 Dr Rachel Heap originally wrote a thought-provoking post on the Facebook page for the Norther Rivers Vaccination Supporters two years ago, but its seen new light all the way over in the US. Patient Sunni Mariah snapped a printout of the Facebook post after visiting her own doctor. It’s since had almost 200, 000 shares and 30, 000 reactions. The sign reads; “Not vaccinating your kids leaves them vulnerable to disease their whole lives. 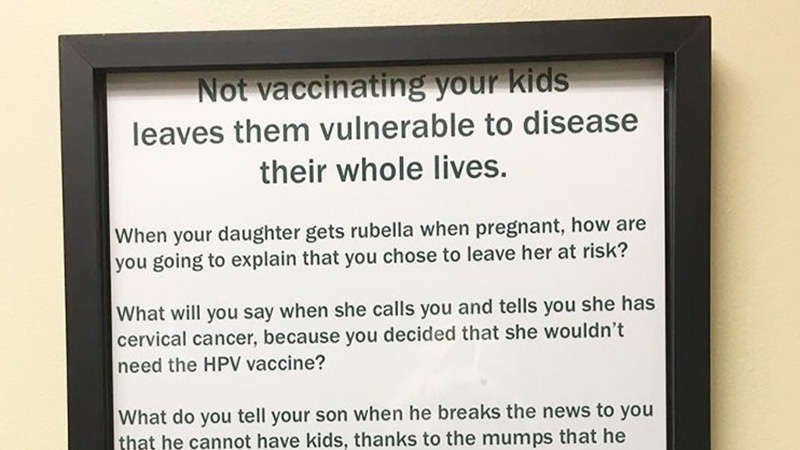 When your daughter gets rubella when pregnant, how are you going to explain that you chose to leave her at risk? What will you say when she calls you and tells you she has cervical cancer, because you decided that she wouldn’t need the HPV vaccine? What do you tell your son when he breaks the news to you that he cannot have kids, thanks to the mumps that he got as a teenager? And what do you say when he gives influenza to his grandma? How do you explain that she won’t be coming home from hospital? Not ever. Do you tell them that you didn’t think these diseases were that serious? That you thought your organic, home cooked food was enough to protect them? 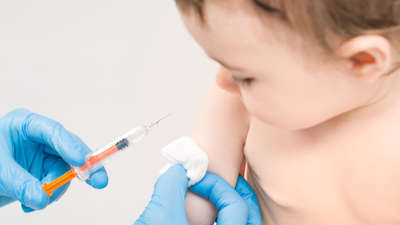 The impassioned post is aimed at anti-vaxxers, in an attempt to explain potential risks to their children throughout their lives. As you can imagine, the comments section got pretty heated, with people on both sides getting on board the comment train. It's worth noting that the importance of vaccination cannot be denied. 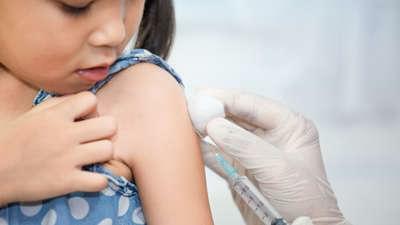 This doctor’s intent is to keep children (and adults) safe from preventable diseases – and the science tells us that the very best way to do that is to immunise our kids. In 2017, record numbers of Australians were diagnosed with flu. The parenting expert shares her views on anti-vaxxers. Great news for states that don't have it already! 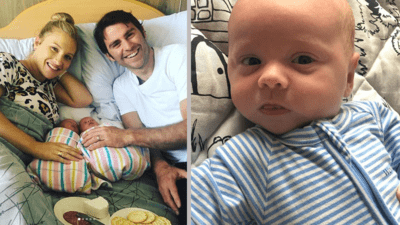 His son went in for a routine procedure, but sadly it did not go to plan. 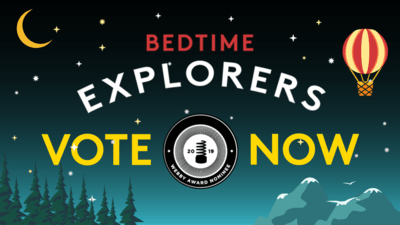 Vote for Bedtime Explorers in The Webby Awards! If we're going to win, we need your help! "I thought I was beginning my online life, but hundreds of my photos were already on the internet"
This 14-year-old was shocked to see how much her mum posted about her before she was "old enough" to use social media. 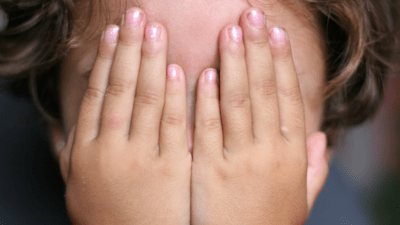 This traumatised mum is warning other parents about the dangers of giving popcorn to under-5s after a family movie night turned very bad. 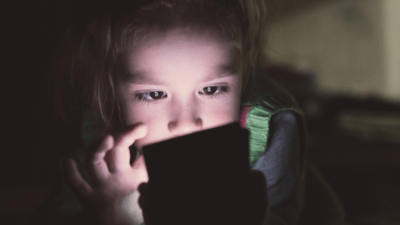 If you struggle to get your kids to switch off, this might be a godsend.